Don’t you love fall. The air is getting cooler, the leaves on the tree change to orange and red, and you start smelling cinnamon in all the places you go. Cinnamon in the apple ciders, in the apple tarts and in the pumpkin pies.. I love fall for all those reasons, but also because I don’t feel so guilty cooking scrumptious desserts in those cool days. One of my favorite cake to prepare around this time of the year is called Feuille D’automne, or Fall leaves. 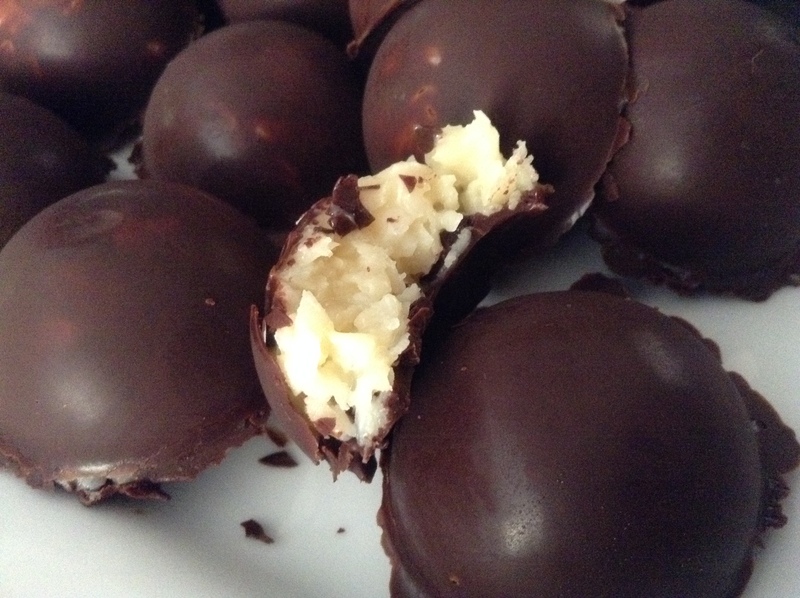 The recipe was originally created by Gaston LeNotre ( reknown French Pastry Chef) in 1968. It is today a signature cake at all his pastry stores and restaurants. 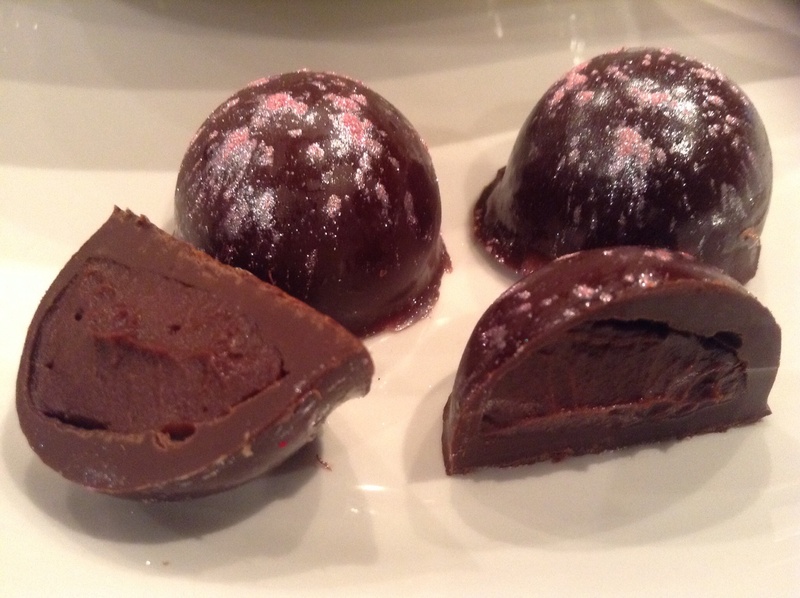 It is made with an almond Meringue, and a dark chocolate mousse. 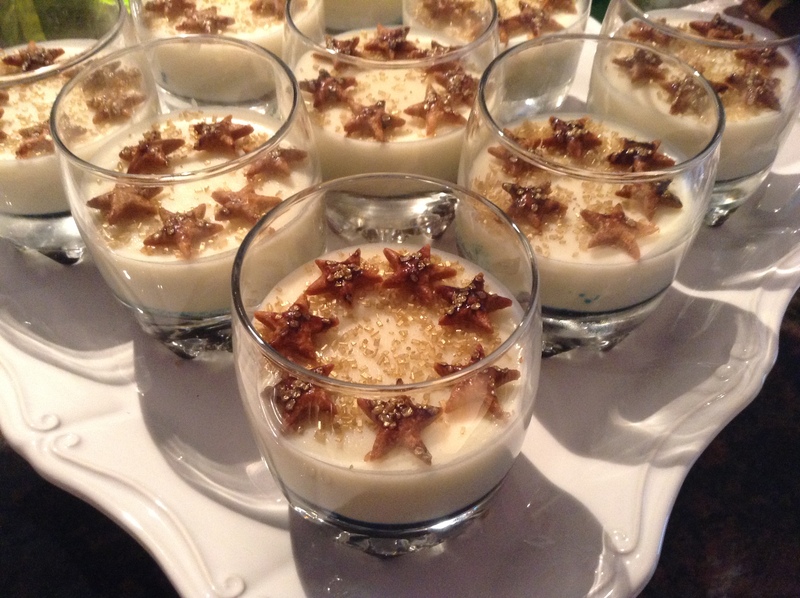 His recipe was adapted by me to make it a little less challenging. It is a beautiful cake that is also succulent. I challenge you to bring one at your next Thanksgiving gathering!!! 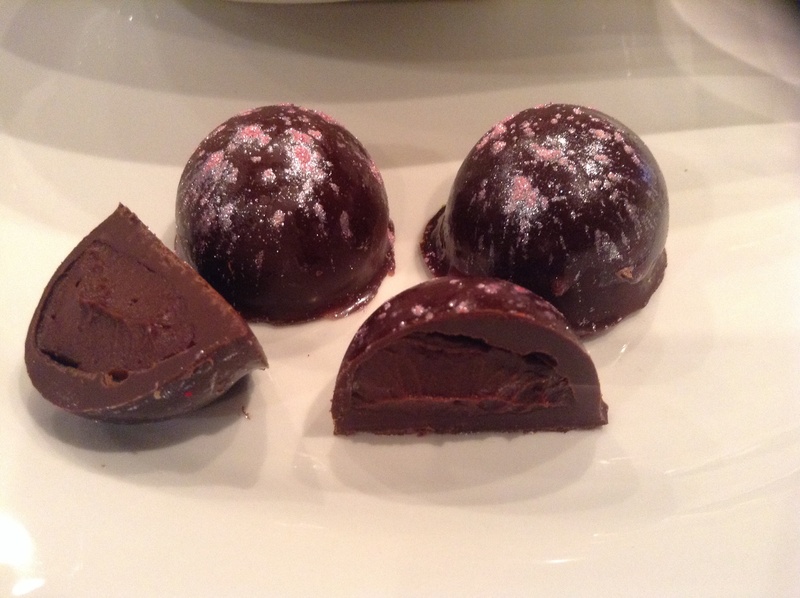 You will need to make 3 almond meringue disks, a chocolate mousse. In a large bowl, sift the almond flour and the powdered sugar and set it aside. 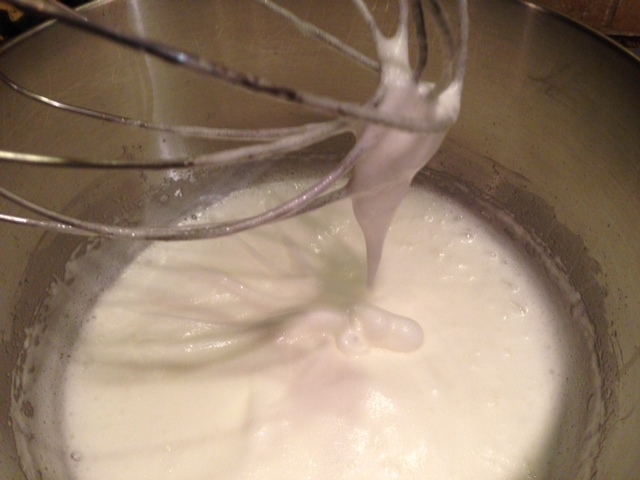 In the bowl of a kitchen mixer, put the egg whites and whip until they are foamy. Slowly add the sugar and continue to beat the egg whites until they are forming soft peaks. See below. Add the almond mixture to the whipped eggs. Fold the almond carefully so that the eggs will not deflate. Lay a large silpat onto a large perforated sheet and pipe the almond meringue into circles to make 3 rounds of about 9 inches. Cook in a warm oven of 250 for 90 minutes. Set aside. 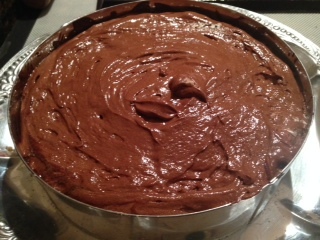 We are now ready to make the mousse which is the filling in between the meringue layers. Place the chocolate chips into a bowl and melt the chocolate either on the stove over boiling water, or in the microwave for 2 minutes. Add the butter and mix well. 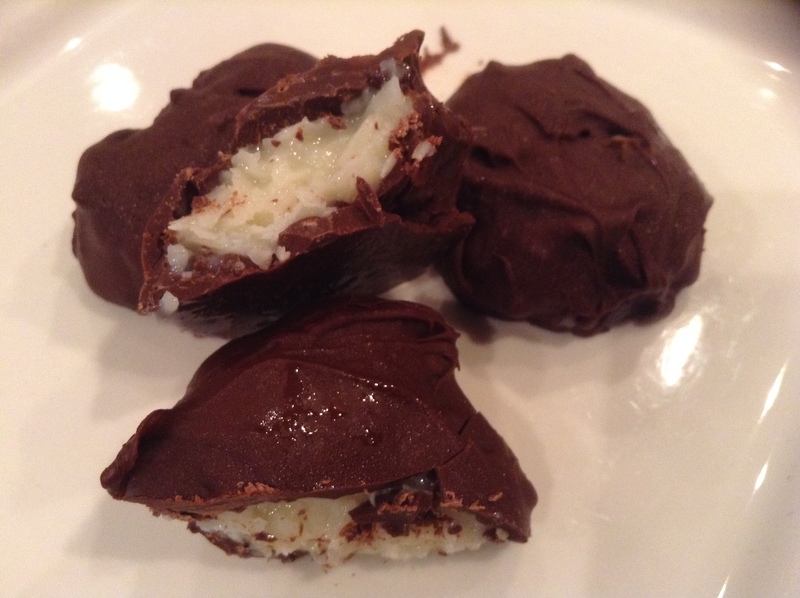 Beat the egg whites into hard peaks and slowly add the beaten egg whites to the chocolate mixture. 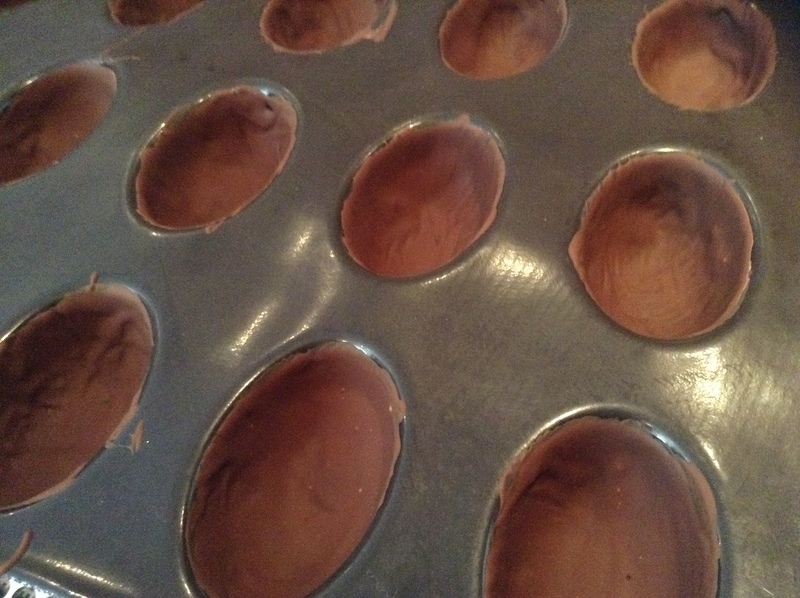 To assemble the cake, place the metal round on top of medium silpat that would be placed on a medium perforated sheet, or fill 1/3 of the medium round mold with the chocolate mousse. Place one of the meringue disk above the mousse. 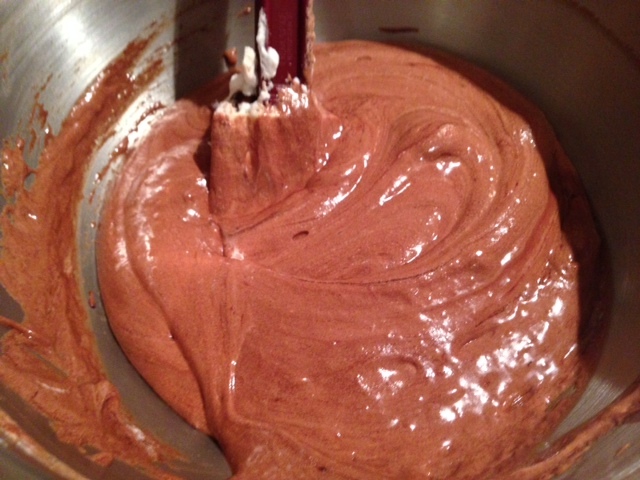 Fill the other third of mousse, cover it up with another meringue. Place the last disk and end with the mousse. Place the cake into the fridge overnight or for at least 4 hours. When the cake is ready, Remove the cake from its mold either by peeling the silicone mold or removing the metal ring. 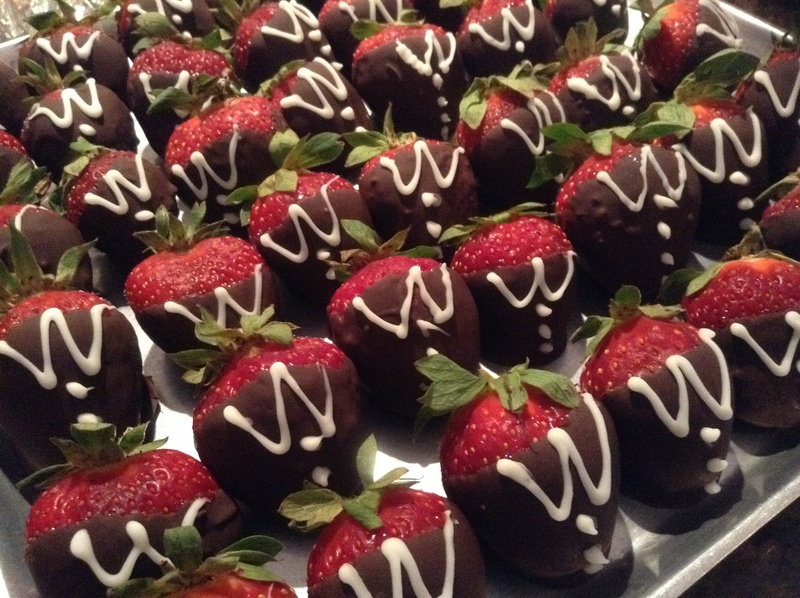 To prepare the chocolate that will wrap the cake, warm up the chocolate to a liquid state. Place a plastic wrap at the bottom of a metal pan, or a deep flexipan and spread the chocolate so that it will cover the entire pan in a very thin layer. Place the pan into the fridge or the freezer and let it harden. 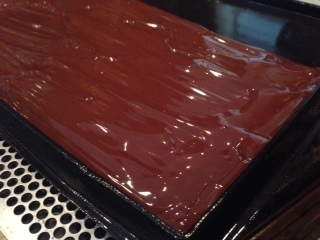 Let the chocolate cool at room temperature until the chocolate begins to get cloudy. Refrigerate to set completely. 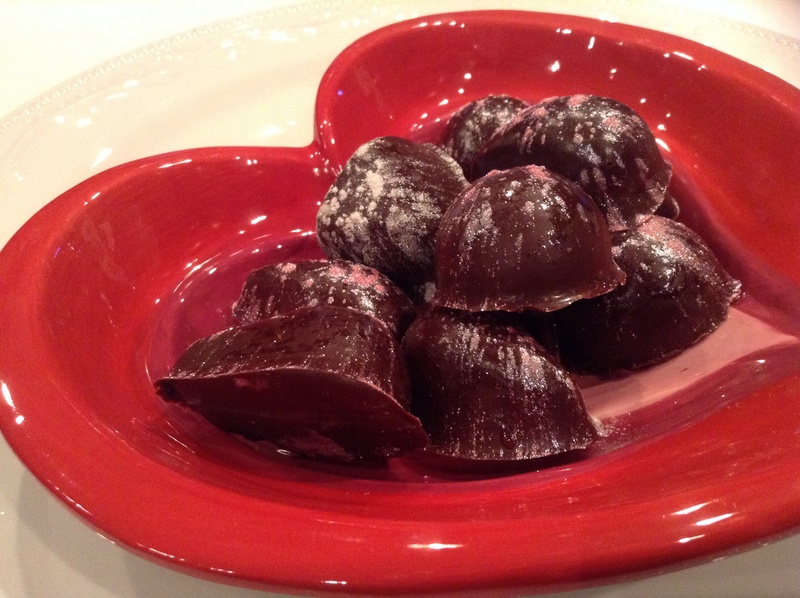 When the chocolate is set, bring the pans back to room temperature and wait a few minutes until the chocolate is pliable but not soft. 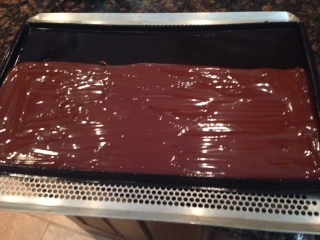 Draw strips of about 4 to 3 1/2 inches into the chocolate. 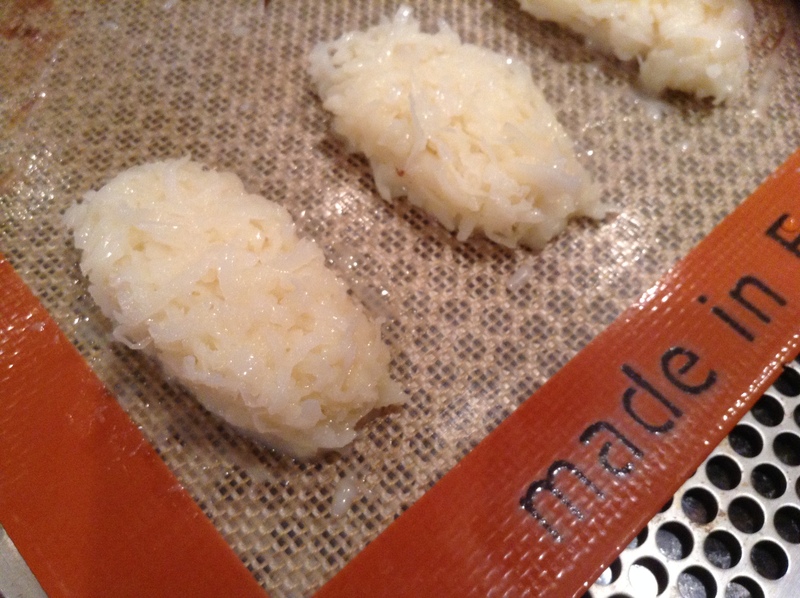 With a sharp knife, cut the strips. 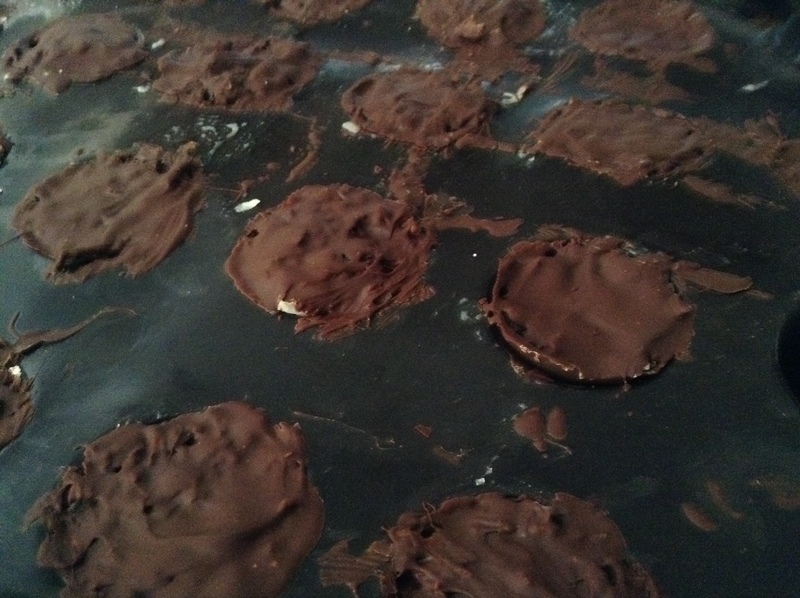 Lift off the strip of chocolate and place the thin strips around the cake to hide the cake contours. Repeat to cover the entire diameter of the cake. 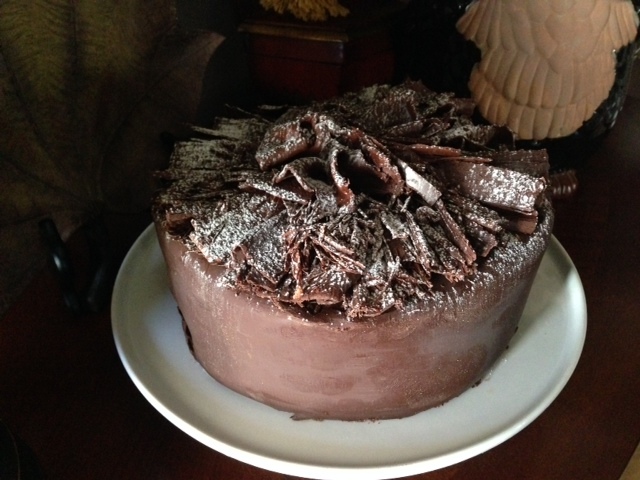 21. the chocolate will be somewhat soft enough to wrap the outside of the cake, but you will not be able to bend it. Let the cake rest for a few minutes and you will see that the chocolate will be able to fold and you will be able to fold it over the top. 22. With the rest of the chocolate, you can either make waves or make shavings that you would place on top of the cake for decoration. 23. Sprinkle some powdered sugar on top for added decoration. 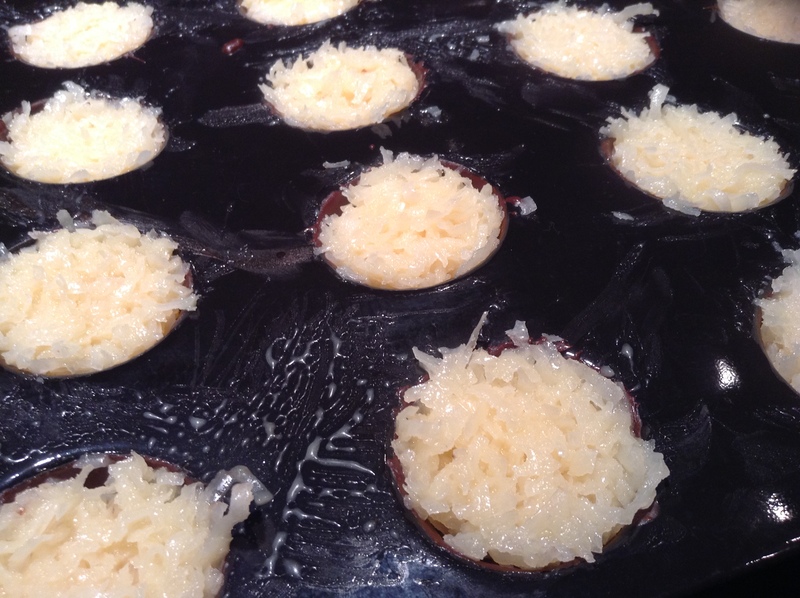 Slowly add the sugar and continue to beat the egg whites until they are forming soft peaks. Place the chocolate chips into a bowl and melt the chocolate either on the stove over boiling water, or in the microwave for 2 minutes. With the rest of the chocolate, you can either make waves or make shavings that you would place on top of the cake for decoration. Sprinkle some powdered sugar on top for added decoration. I am certain that if you have children, you have or will feel the same way I did. But for us, those feeling were even more important because she is and was the first person in our family to graduate from an American school!!! For my husband and I, this is something we had seen on TV until this past Friday. 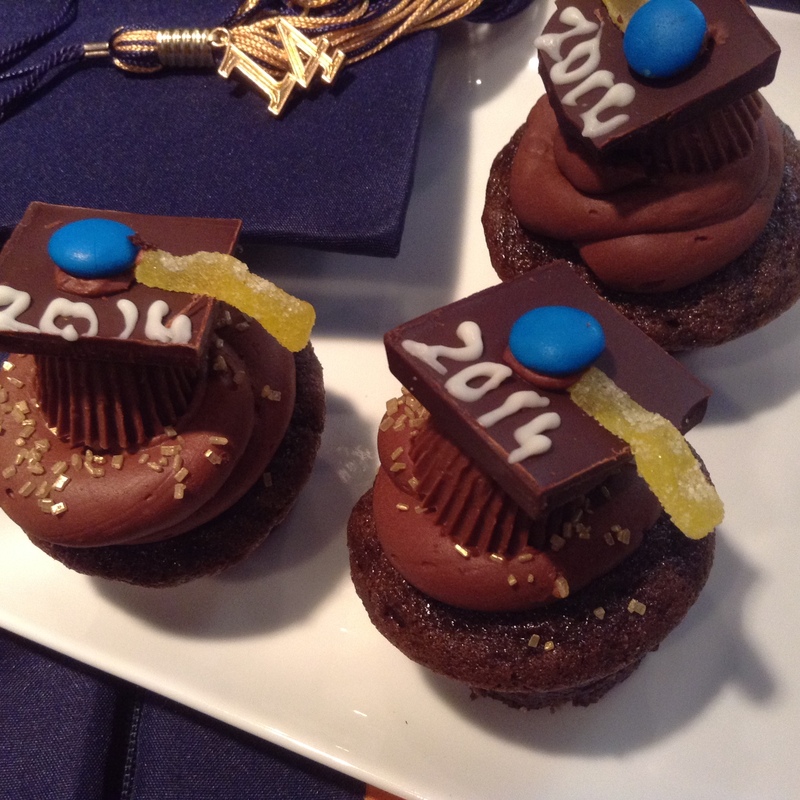 So it was very special to see our daughter walk that stage and receive her diploma;-) One that i will not forget!!! 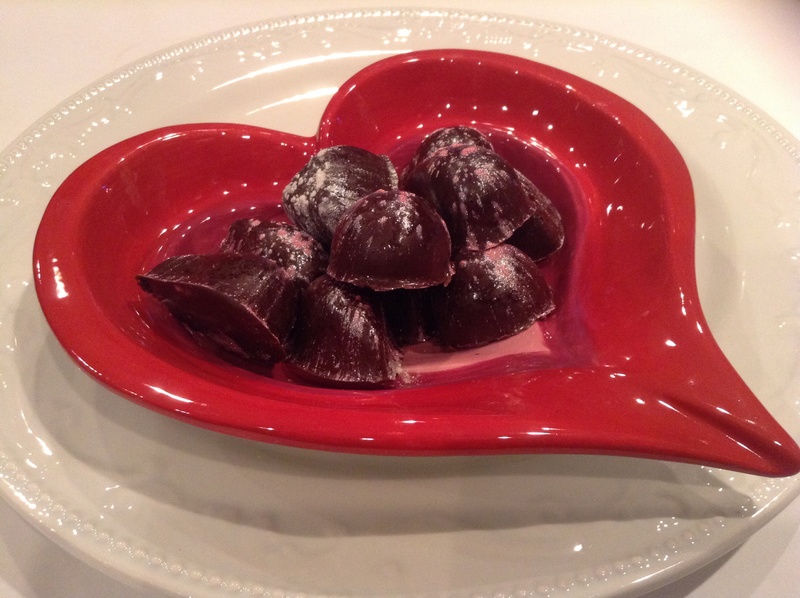 In a bowl, sieve the flour, baking soda, salt and chocolate powder, and set aside. 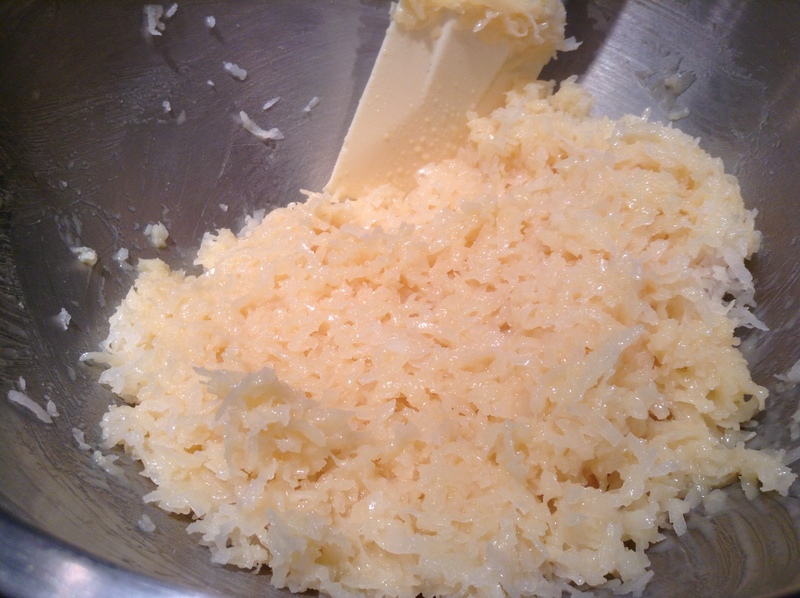 In a mixer, place the butter and the granulated sugar and the brown sugar and beat until it becomes light and fluffy. Then add the egg and beat it in. In a bowl, mix the water and the buttermilk. 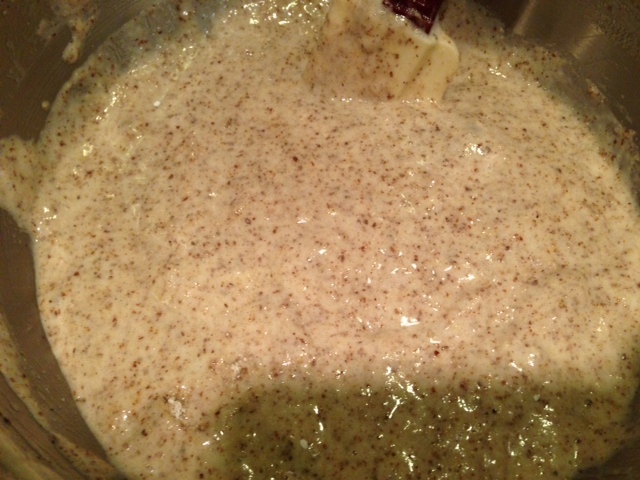 Incorporate the flour mixture in three times, mixing in the water mixture in between each time. Beat at a very low-speed, just enough to mix the flour in well. Beat on high for a minute until all the ingredients have been incorporated. 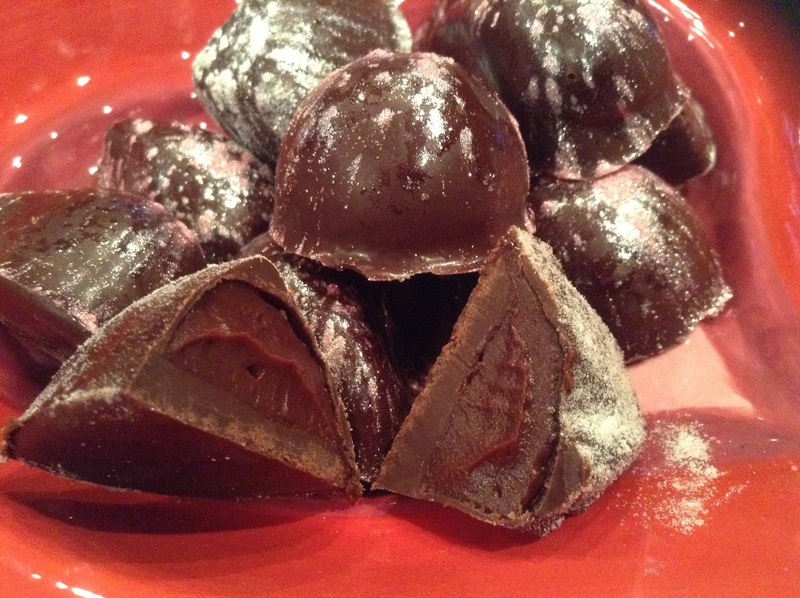 Empty the batter into a ziplock bag, cut a corner and fill each of the cupcake openings to about 2/3. I used the mini muffin tray from Demarle. I cooked the cupcakes 12 minutes. Let the cupcakes cool before piping the frosting. 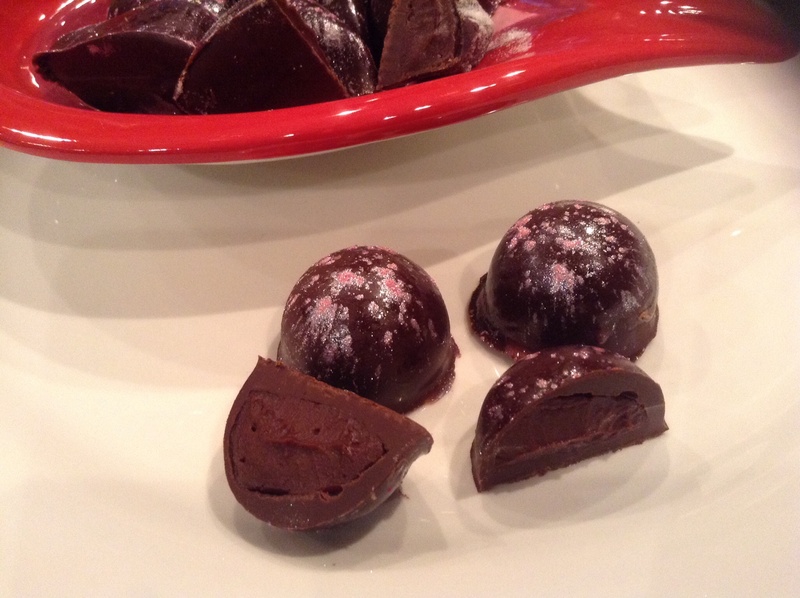 Place the chocolate in a microwaveable bowl and heat the chocolate up for 90 seconds. Stir and cook it again for another 30 seconds. Repeat if necessary. Let the chocolate cool a bit, then add the butter and beat it. Add the sour cream and beat on high until it fluffed up. If it is still too soft, place it in the fridge for a few minutes to get cold. Take it back out and beat it to fluff it up. PLace the large round tip inside the pastry bag. Place the frosting in a pastry bag and pipe the frosting on top of the cupcakes. Unwrap the reese cups. Then cut squares of chocolate of about 1 inch. 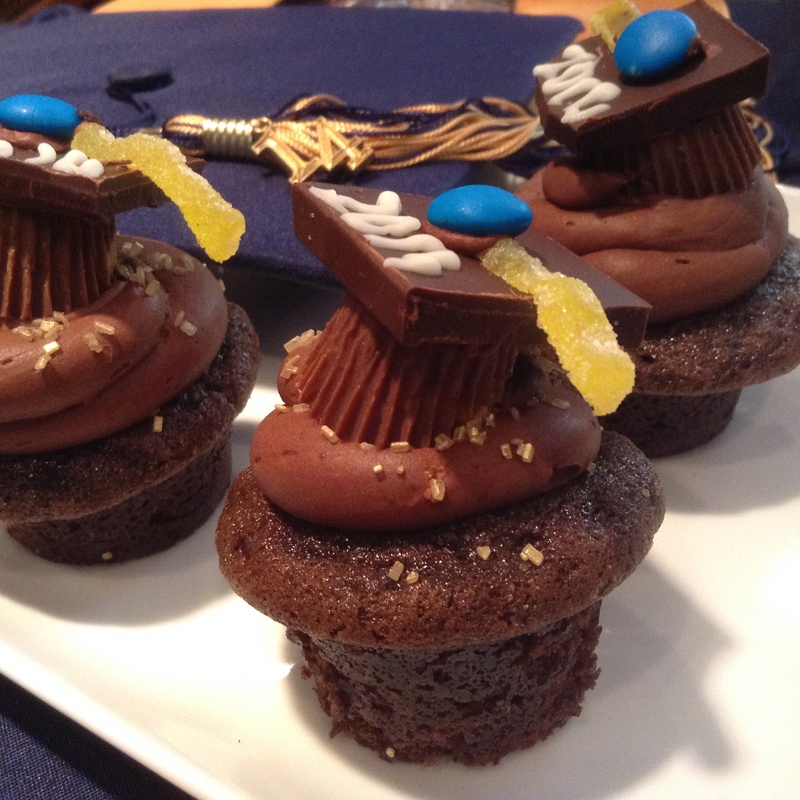 Place a bit of the frosting on top of the Reese and place the chocolate square. 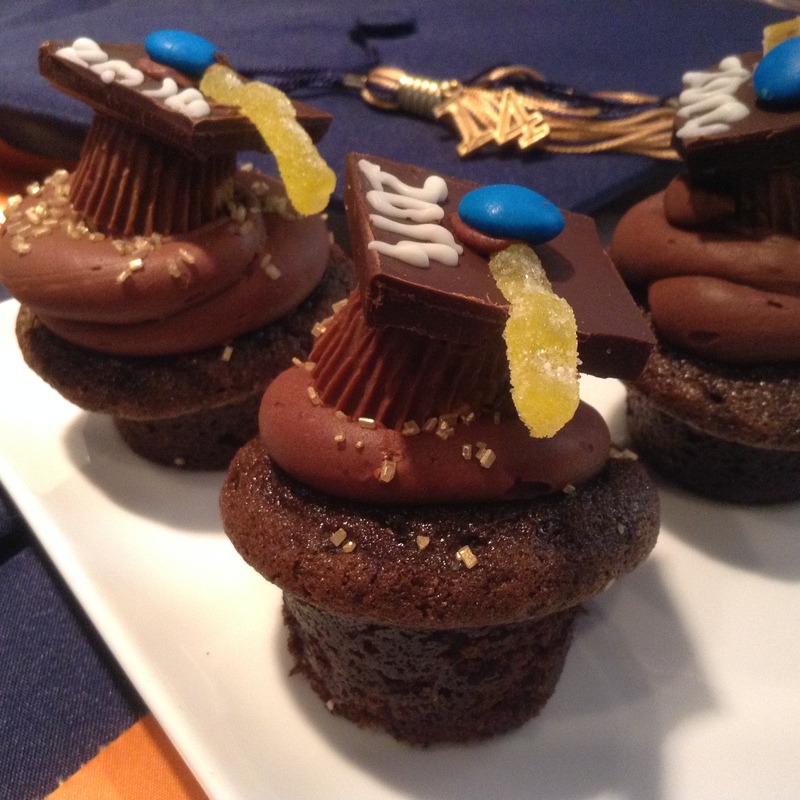 With a bit of frosting, glue the M&M on top of the chocolate square. 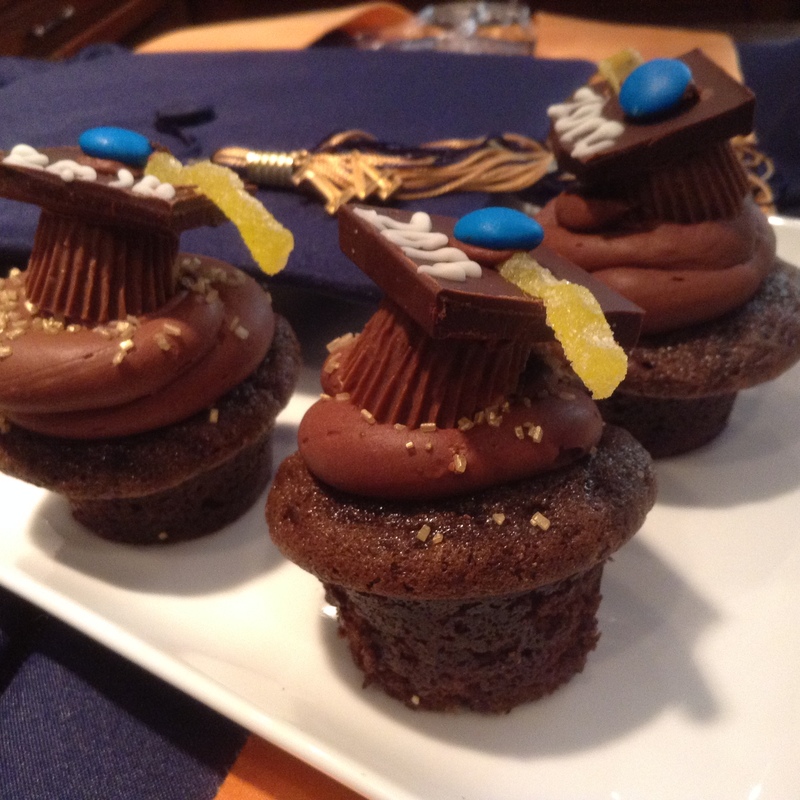 With scissors, cut small strips into the sour patch candy, and attach the strip onto the chocolate square to make it look like the tassel. Place the vanilla bark into a small container and microwave it for 20 seconds. 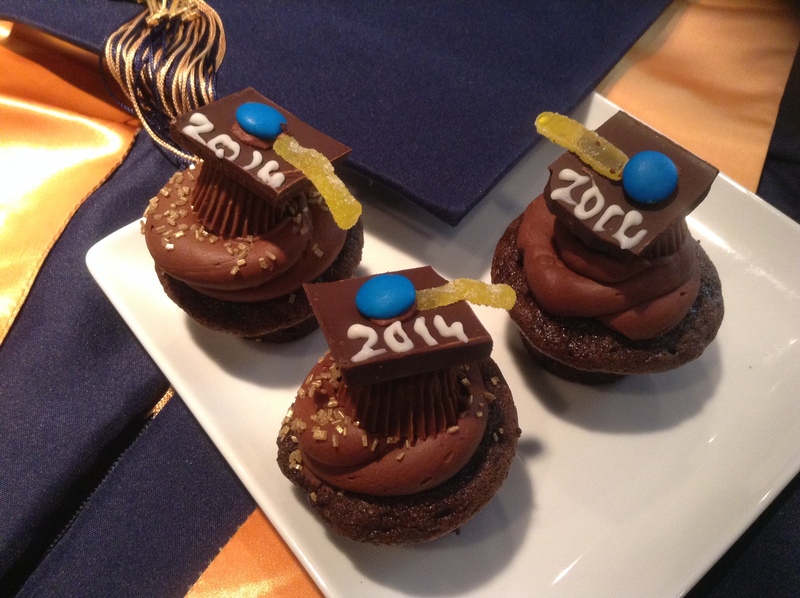 Pour the chocolate into a small piping bag, or even into a ziploc bag and write the date of the graduation year.